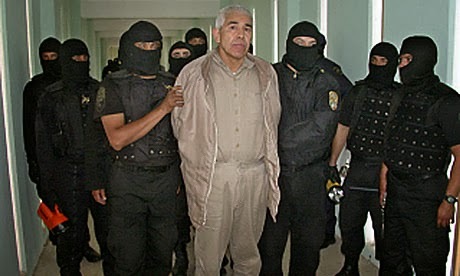 Mexico's Supreme Court has voted to overturn an appeals court decision that allowed drug lord Rafael Caro Quintero to walk free in August. Caro Quintero had served 28 years of a 40 year sentence for the murder in Guadalajara of U.S. Drug Enforcement Administration (DEA) agent Enrique “Kiki” Camarena. He was also convicted in the 1985 murder in Guadalajara of John Clay Walker, an American journalist, and Alberto Radelat, a dentist from Fort Worth, Texas. Walker and Radelat were by all accounts complete innocents, having walked into a restaurant where Caro Quintero was dining with some of his henchmen. Caro Quintero, feeling the heat from the DEA, had presumably assumed that Walker and Radelat, who had only recently become acquainted, were working undercover. All three men were brutally tortured before being killed. The death of Camarena in particular was high profile, and resulted in extreme pressure on the part of the U.S. to track down, charge, and convict the culprits. Caro Quintero was released on a technicality, with the court claiming he should have been tried in a state, not a federal, court. The U.S. government, which now has a $5 million reward out for information leading to the arrest and conviction of Caro Quintero, was not advised in advance of his release. With this latest news the Mexican Supreme Court is now asking that the case be reconsidered. That means that Caro Quintero is now technically a fugitive from justice. Not surprisingly, neither the Mexican nor the U.S. authorities know where he is.